Between 2005 and 2012, AUSFTA diverted US$53.1 billion of trade, leaving Australia and the United States worse off than they would have been without the agreement. The critics were right. Ten years after the Australia–United States free trade agreement (AUSFTA) came into force, new analysis of the data shows that the agreement diverted trade away from the lowest cost sources. 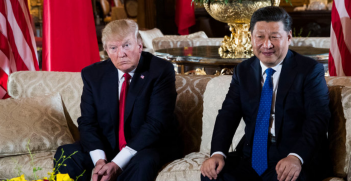 Australia and the United States have reduced their trade by US$53 billion with rest of the world and are worse off than they would have been without the agreement. When the Howard government was putting the agreement in place, there were serious concerns about whether it would distort trade and impose costs on the Australian community rather than expand and lower the costs of trade. Even key officials who negotiated the deal had doubts about whether what they could negotiate in the time they had under political pressure would serve the national interest. The lead up to the agreement was accompanied by heated debate in Australia. AUSFTA marked a departure from the primacy of unilateral and multilateral trade and investment liberalisation in Australia’s foreign economic policy strategy. The government turned to a strategy of preferential liberalisation. Under the arrangement, US goods, services and investment were to be given preferred treatment and better access to Australian markets than those of all other countries. Preferential treatment can divert trade to the Australian market away from the most efficient and competitive suppliers towards suppliers who would only become competitive due to the special treatment they receive under the regime. This discrimination is part of the design of these agreements and is meant to give incentives for other countries to join the game and negotiate preferential deals of their own to negate the discrimination they face. Preferential agreements can also create efficient trade but only if the lowest cost suppliers are included under the arrangement. The question is where the balance of costs and benefits lies. It’s a question that can be estimated with a fair degree of confidence in advance but judged with much more certainty after the implementation of these arrangements. 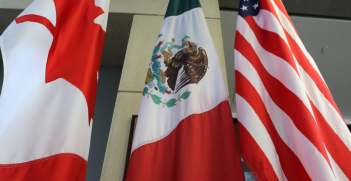 Do these agreements divert more trade than they create? Do they make us better off, economically speaking, or worse off? Australia’s foray into preferential trade deals led to a review by the Productivity Commission of Bilateral and Regional Trade Agreements in 2010. This report did not include analysis of AUSFTA, due to insufficient data at the time the report was written, but it was critical of preferential deals more generally and (along with the overwhelming majority of research analysis) found very little evidence of significant gains from preferential deals beyond benefits to a few privileged sectors. Most studies of AUSFTA prior to the agreement estimated that it would have little or no impact on the Australian economy. While it was negotiating the agreement, the Department of Foreign Affairs and Trade commissioned a study by the Centre for International Economics that showed significant gains from concluding AUSFTA. The results were driven by the assumption of a reduction in the equity risk premium in Australia and there is no evidence that shows this came to pass. This is the study that Ross Garnaut famously said did not pass the laugh test. Enough time has now passed and there is enough data to update the Productivity Commission’s model to estimate the effect of AUSFTA on trade. The agreement was responsible for reducing (or diverting) $53.1 billion of trade with the rest of the world by 2012. Imports to Australia and the United States from the rest of the world fell by $37.5 billion and exports to the rest of the world from the two countries fell by $15.6 billion over eight years to 2012. Beyond the $53 billion of trade that has been diverted, there is no evidence that the agreement has been associated with an increase in trade between the two countries, or the creation of efficient low cost trade. The trade diversion from other partners suggests that Australia–US trade would have fallen even further without AUSFTA. The Australia–US agreement did not prevent the share of US trade in Australia from falling. It could not defy gravity with the rapid growth of Asian economies, their competitiveness and their proximity to Australia delivering lower cost and higher quality goods to the Australian market, but it did provide a modest counterweight. Some dismissed the possibility of there being any trade diversion from AUSFTA since Australian trade to East Asia continued to grow strongly after AUSFTA came into force in 2005. That interpretation fails to comprehend the appropriate benchmark, or counterfactual, needed to assess what the effects of the agreement have been. Trade between Australia and East Asian economies would have grown more (to the tune of $53 billion for both the United States and Australia) than it actually did if AUSFTA had not been put in place. 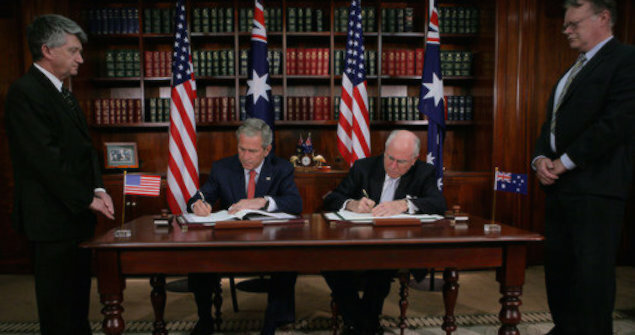 AUSFTA was negotiated and signed within a year — a feat unmatched in trade negotiations today — driven by the political determination of Australia’s prime minister, John Howard, to do a deal with America’s president, George W. Bush, after the second invasion of Iraq. One of the conclusions from the Productivity Commission’s review of FTAs was that their economic benefits are usually overstated and that they are often more political than economic in their motivation. The cost of whatever political gain derived from the deal has not been trivial. Australia’s historic trade liberalisation efforts produced clear welfare gains, and the winners and losers from these reforms were determined by market forces and competition. Trade agreements that introduce distortions and discriminatory treatment mean that winners and losers are largely determined by preferences and privileges assigned through negotiated treaties. The US agreement carries important lessons for Australia in its future trade and foreign policy strategy. The conclusions of the Productivity Commission’s review apply to AUSFTA. Deals that are struck in haste for primarily political reasons carry risk of substantial economic damage. The question then is whether the economic costs of such policies are worth whatever the political gain, and indeed, how the balance of properly calculated political gains and costs might look. Shiro Armstrong is Co-Director of the Australia-Japan Research Centre at the Crawford School of Public Policy, ANU and Editor of the East Asia Forum. Further details of the model and results can be found in the paper on the author’s homepage. This article was originally published on East Asia Forum on 8 February 2015. 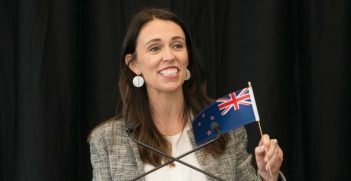 Through the judicious exercise of small state diplomacy, New Zealand has been able to exert a significant influence on international politics despite its limited hard power.